Dancing With The Stars’ PAS DE DEUX: What Can Small Business Owners Learn? 15.2 million viewers tuned in to watch the season finale of ABC's "Dancing with the Stars’ Pas de Deux" . Together, we watched Pussycat Dolls' singer Nicole Scherzinger and Derek Hough dazzle with a "Proud Mary" jive, Olympic ice-skating champion Evan Lysacek and Anna Trebenskaya dance a superb quickstep to "I Want You to Want Me," and ESPN sportscaster Erin Andrews and Maksim Chmerkovskiy bow out graciously. But what, you may ask, does "Dancing with the Stars’" pairs dancing have to do with how to be a successful small business owner in the world today? As a small business expert helping entrepreneurial women start up businesses, I found Season 10 to be both personally inspiring and professionally insightful. This season is a great example of what to do and what not to do for micro- and small business owners seeking success. From seeing how important rehearsals are to performance success to doing your best under adverse conditions, "Dancing with the Stars’" pairs dancing was full of powerful examples of what it takes to be a successful small business owner in the world today. When Nicole and Derek decided to perform their already flawless Argentine tango for their "favorite" dance, they didn't just aim to do the same dance as well as before (even though they'd received a perfect score of 30 from the judges the first time). No, they changed up some moves at the end to make it even better Pas de Deux the second time around. By the seventh week of the competition, it was clear that the best male dancers were Derek Hough and Evan Lysacek—one a masterful dancer and the other a 2010 Olympic champion. While Derek won points with his technique, Evan won our hearts with his passion. That feeling in our hearts will be remembered, long after Season 10 is over. Throughout the entire ten weeks of competition, Evan impressed me with how well he handled the judges' criticism. Each successive week he listened to them and came back to the dance floor more polished. While other competitors let the judges' criticism get them down, Evan thrived and capitalized on their feedback. And, in the end, when he came in second, he graciously honored Nicole by saying he was proud of her. Evan set himself apart from the competition with his grace, class, and style. No matter how much you need to make a sale, please, please, please, don't pour on too much sweetness lest you sicken your customers. Don't do what "Dancing with the Stars" did when they had "The Bachelor" star, Jake Pavelka, waltz with his real life fiancée to the tune of "On the Wings of Love." The show nearly fell flat because of that syrupy move. So will your business. What was "Dancing with the Stars" thinking when they invited Kate Gosselin back to the show to dance in the finale? There's a saying in business: bad publicity is better than no publicity. Not so, when you're a small business owner with everything on the line. Maybe big corporate ABC can absorb the negativity, but you can't. As a micro- or small business owner, you don't need the controversial publicity that the star of "Kate Plus 8" brought to the show. "I would guess that 90 percent of my audience doesn't like me. It doesn't matter if I do a Nicole- or Evan-style performance, I would still get picked apart", she said. In business, you need your customers to like you. Period. 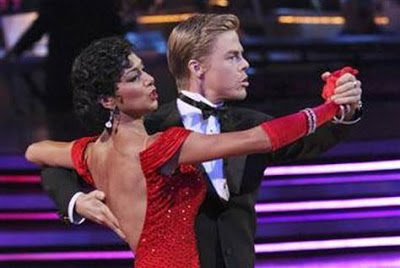 The winners of "Dancing with the Stars" were chosen by a combination of scores from the judges and votes from the viewers. The more people who feel as if they have input into what you're doing, the better for your business. Get your clients and customers involved. ESPN reporter Erin Andrews is the epitome of what to do when bad things happen to good people. Having just gone through the horrific experience of having her privacy invaded by Michael David Barrett, who secretly videotaped her through hotel peepholes and displayed those videos online. Erin had him arrested, moved forward with her life, and focused on doing her best on "Dancing with the Stars." She is a living example to all woman entrepreneurs about what to do when a debilitating situation occurs. "I came here under really crummy circumstances, and I just wanted to get my life back. I just wanted to get my smile back," Erin said. And with her dance partner's help, she did. Even before the finale began, Evan knew how good his competition was and still went out there with his dance partner Anna and did his best. Although their quick step was very good, Nicole and Derek's jive was better. As a small business owner, when you know you've done your very best, let that be enough. Coming in second doesn't mean you've necessarily done anything wrong. As in Evan's case, it may mean that someone else simply did better. No shame in that. The show added a college dance competition this season. This was a smart move for ABC because it boosted both ratings and viewership from a different, yet complementary, audience. College students nationwide tuned in to see Utah Valley University win the first-ever college dance competition on "Dancing with the Stars". What can you do to expand your niche into a complementary market to get more attention? Whether it's a speech you're about to make or a product presentation you're working on, what you do before you get in front of your audience makes all the difference. At the very end of Finale I, when Derek flubbed the last lift to an otherwise stunning freestyle, it was because he hadn't practiced consistently enough the placement of his left hand. Practice makes perfect, and consistency creates confidence. Don't wait until the last minute to practice your speech. Don't "wing it" or change things up when your presentation goes south. Instead, do what the "Dancing" stars do: get it right in rehearsal. Then, when it really counts, enjoy yourself! With the Mirror Ball Trophy at stake and bragging rights for the taking, this year's "Dancing with the Stars" was much more than just entertainment. 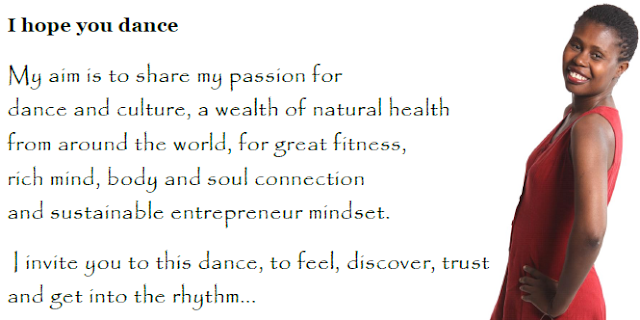 During the ten weeks of fierce competition, within each new dance routine, and in the face of daunting individual trials and tribulations, you'll find a powerful example of what it takes to be a successful small business owner in the world today.